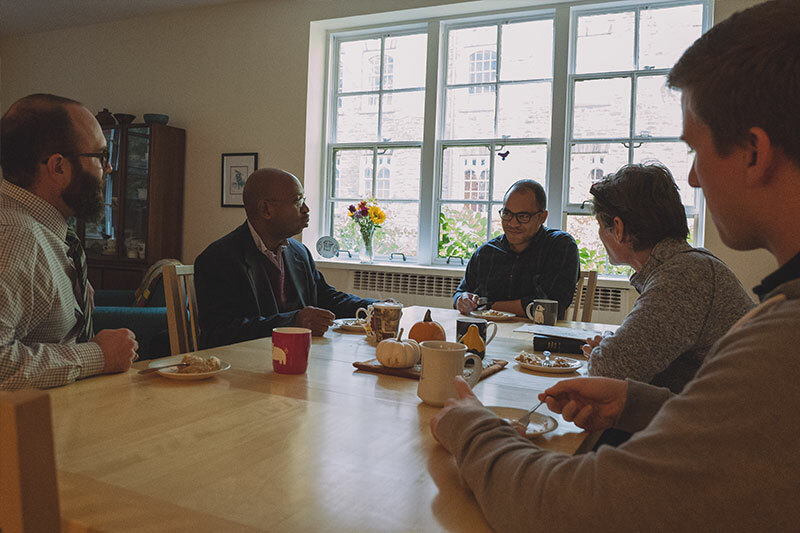 Because today's church needs leaders ready to hit the ground running, General Theological Seminary provides a complete formation and education experience for those who feel called to ministry. If you spend much time at General you will hear me say a phrase that practically becomes shopworn, but it never does. It's like earthly good news and we say it constantly: welcome home. Come for chapel or lunch in the refectory. Sit in on a class. Hang out on the Close and visit with friends. This is a Christian place open to all people. Our language is Jesus and our accent is Episcopalian. Come and let us say to you in words, symbols, and actions: welcome home to General Seminary. 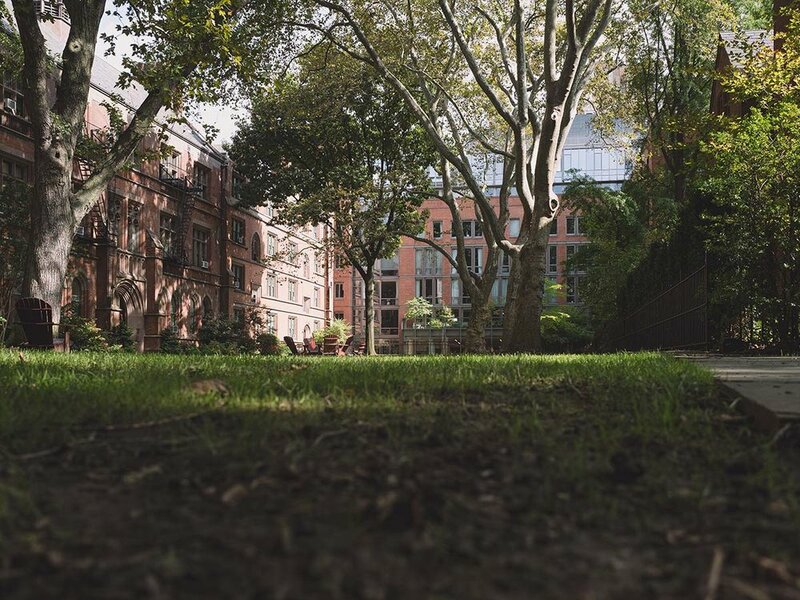 Located on the west side of Manhattan in New York City, the General Theological Seminary is frequently noted for the beauty of the gardens on its campus, called the Close. The seminary's Close is characterized by a row of neo-Gothic buildings and tree-shaded lawns uncharacteristic of its urban setting. The General Theological Seminary sits in the heart of Chelsea, a neighborhood known as a center of the New York art world. The cultural opportunities found in this ethnic and socially diverse neighborhood are unparalleled. 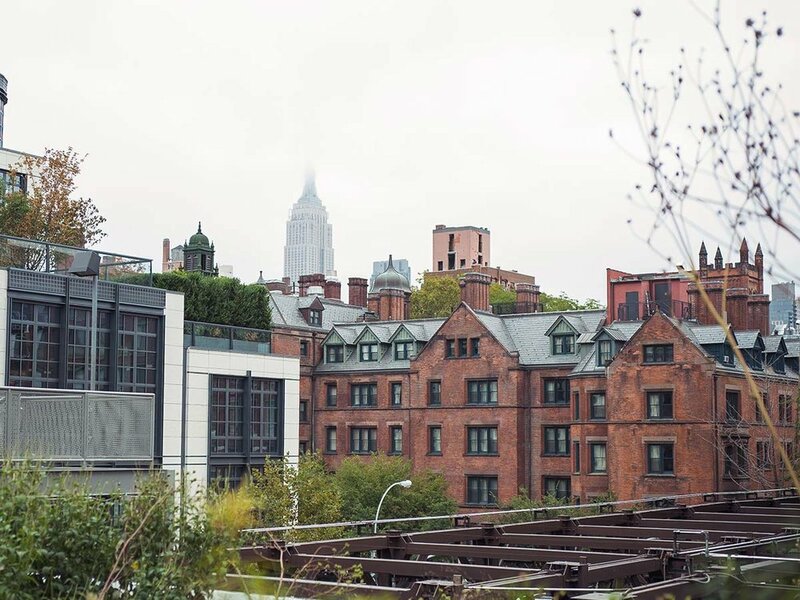 A favorite attraction for seminarians is High Line Park, a 1.45-mile-long elevated park featuring beautiful landscapes, and views of the city and the Hudson River. General Seminary is a worshipping community. The daily rhythm of Morning and Evening Prayer, along with the daily celebration of the Holy Eucharist, creates a shared framework for our life together as Seminary community. The Chapel of the Good Shepherd stands proudly at the heart of The General Theological Seminary, its red brick and brownstone bell tower rising more than 130 feet into the Manhattan sky. 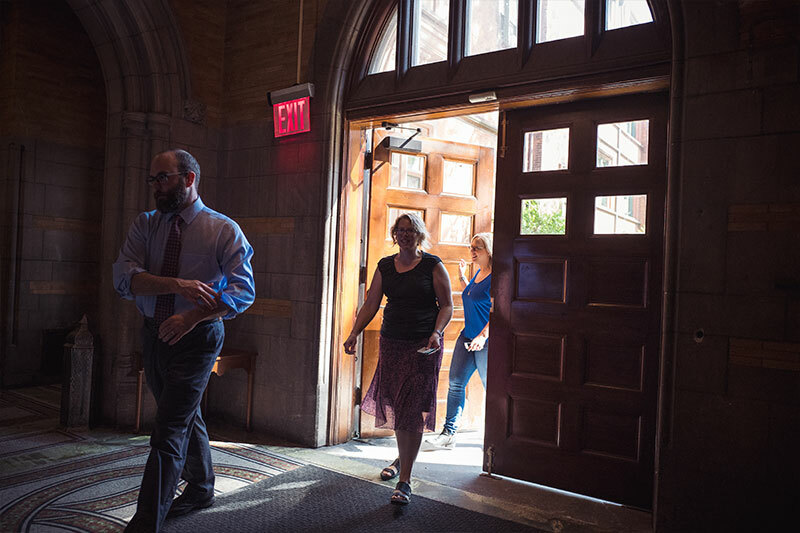 A rich tradition of academic excellence combined with a commitment to living out new life in the Spirit surrounds and informs General Seminary. By erecting a series of stately brick buildings–dormitories, faculty apartments, and a classroom building–around the perimeter of the block, a magnificent quadrangle or "Close," after the fashion of English universities, was created. Between the 1930's and 60's several other more modern buildings were added including a new library. Many of the buildings on campus were designed by Architect Charles Coolidge Haight. As a special advocate of the English Gothic Revival Movement, Haight adapted the style to collegiate and ecclesiological architecture as seen throughout GTS. 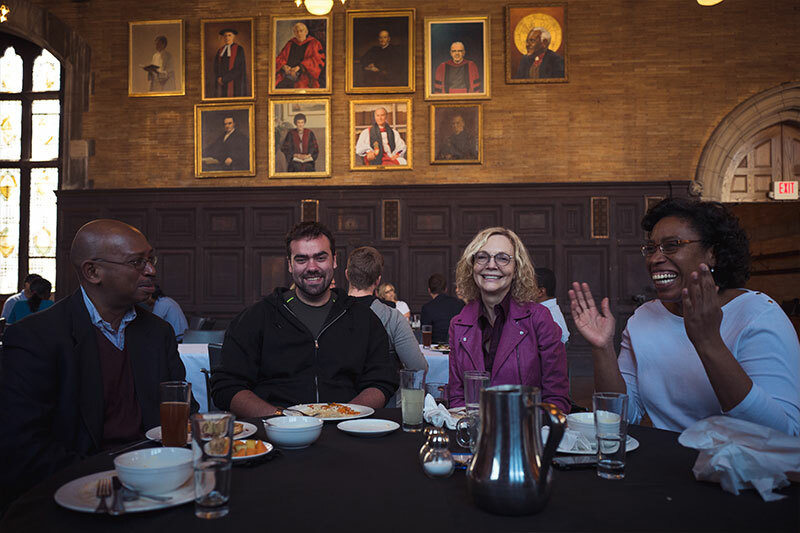 As the most urban of Episcopal seminaries, GTS embodies a particular set of academic and cultural possibilities born out of its cosmopolitan environment. 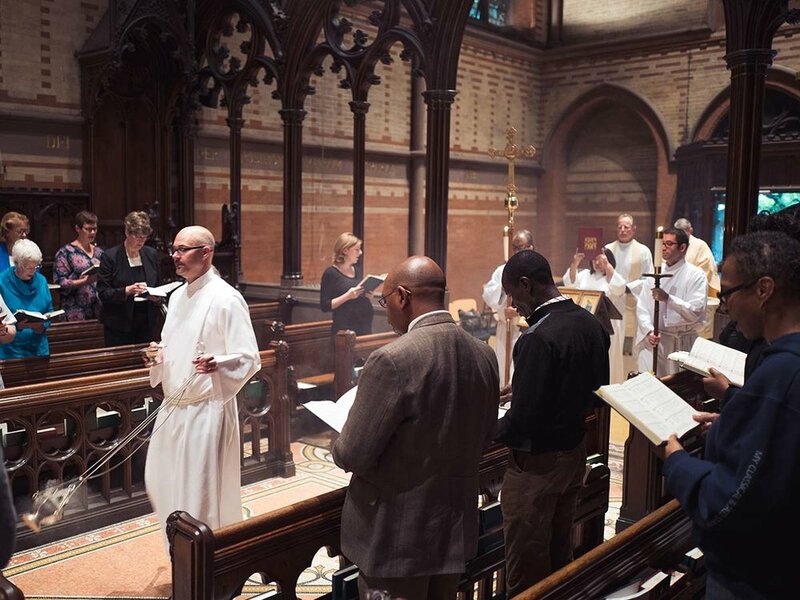 Deliberately, the General Theological Seminary seeks to cultivate the unique opportunities for learning offered by our location. While known for its rigorous academic standards, General also focuses on the needs of each individual student. Close relationships are furthered by common worship, meals, and events. The cultural opportunities found here are unparalleled. Along with General's worship, academic, and community, the many activities of New York combine to create a unique educational environment. Whether you feel called to ordained ministry or lay leadership in your faith community, whether you are interested in studying part-time or even as a non-degree student, GTS will meet your needs. From maintenance or IT requests to the current calendar and everything in-between. If you need help with anything the resources section of the website is a great place to start. Graduates and former students of GTS are members of the Associate Alumni of the Seminary. This portion of the GTS website was created for you. It includes the most recent Alumni News and job postings.